Melissa Manwill is headed for greatness. If you want your pretty little socks blown off, you need to see Melissa Manwill’s work. As some of my favorite people to learn from and study, students embody so much of what it means to be an artist. Now I don’t mean the crippling debt, the abundance of ramen packets or the stanky drama of who Chelsea saw Chad with the other night. What students embody is energy. Young, reckless and abundantly creative energy straining to break out of its novice tethers and run wild in the professional world. It’s intake of breath as one teeters on the cusp of accomplishment. Melissa is crossing this cusp. 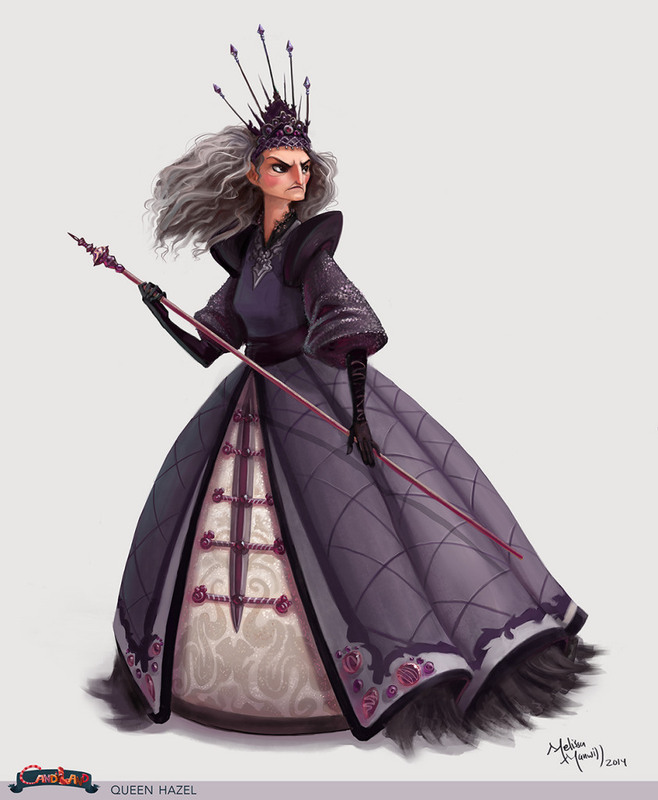 I came upon Melissa Manwill’s work only recently when long standing visual development artist and online educator Chris Oatley gave her a glowing recommendation as someone to watch out for in the entertainment world. As I visited her website it became abundantly clear why. Though most students teeter on the ridgeline between school and the professional world, Melissa, though only recently graduated, is already off the cliff face and running her way through professional fields. Not only is she a talented illustrator that could easily illuminate any children’s story this side or any side of the Mississippi, Melissa is also incredibly talented as a visual development and concept artist. Developing characters and environments to her own animated version of the classic board game Candyland, it’s very obvious how ready she is for the professional world. The thorough exploration of gesture, the personality and excitement of each character and the masterful painting in which she renders all of these are evidence enough of over qualification. Any studio anywhere will be lucky to have her. I can only imagine she has a basket full of options she’s gathered in her run across the field. Keep an eye out for this one. She’s already great, but things are headed up and I can only imagine the prestige she’ll command within the next few years. To follow her, or just to have your pretty little socks blown off again, visit one of her sights below. Despite the cold, your toes and eyes will be glad you did.